Organize toys, games and supplies with the school classroom compartment storage cabinet by ECR4Kids. 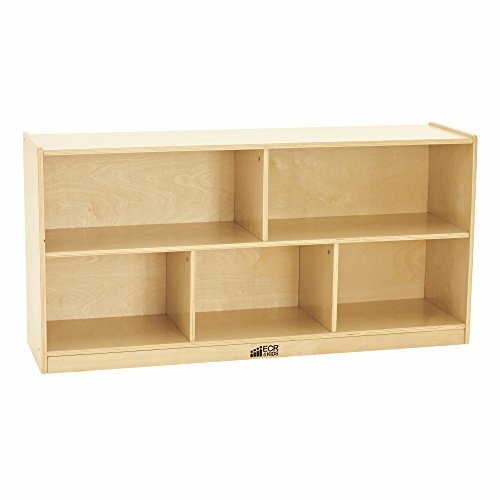 Made of durable natural finished birch, the storage cabinet features 12 inch deep compartments to hold books, blocks or ECR4Kids bins at an easy-to-reach height. Includes optional heavy-duty casters for added mobility from one place to another. Available in three different heights, 24 inch, 30 inch and 36 inch. For added safety, our birch storage cabinets are built with rounded corners. Adult assembly required. Recommended for use by ages 3 and up. With a concentration on the Pre K-12 sector, ECR4Kids offers a wide range of products including classroom tables and chairs, preschool rest time solutions, hardwood storage cases, blocks and manipulative, mobile organizers and a variety of indoor and outdoor play structures.